Cheesy Egg Casserole is the perfect baked eggs recipe for brunch! 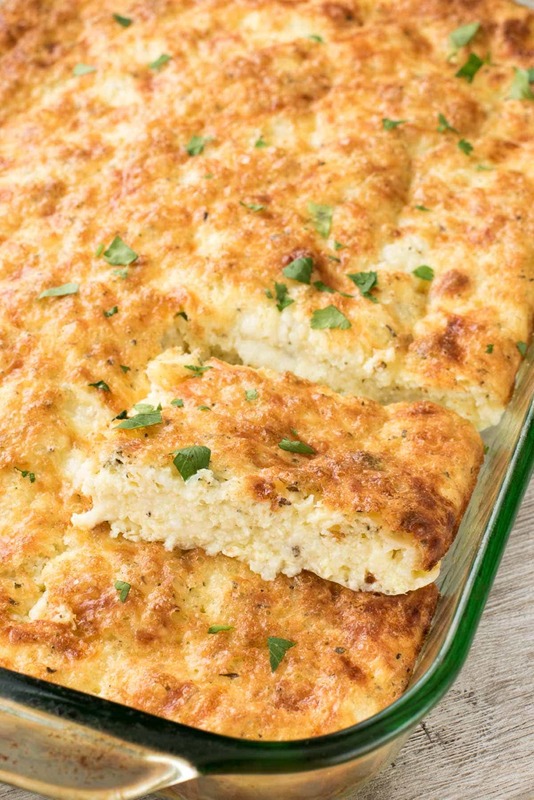 This buttery, easy breakfast casserole is full of cheese and spices, and because it’s vegetarian, everyone can enjoy it. I make this recipe for every brunch (and sometimes just because) and it always disappears first! If you’re looking for the perfect brunch egg recipe, THIS IS IT. It’s a family favorite and it’s so easy – it comes together in minutes. None of my family are huge egg lovers, but we devour this breakfast casserole, so you know it has to be good. This cheesy egg casserole is what I make every year for Christmas breakfast. 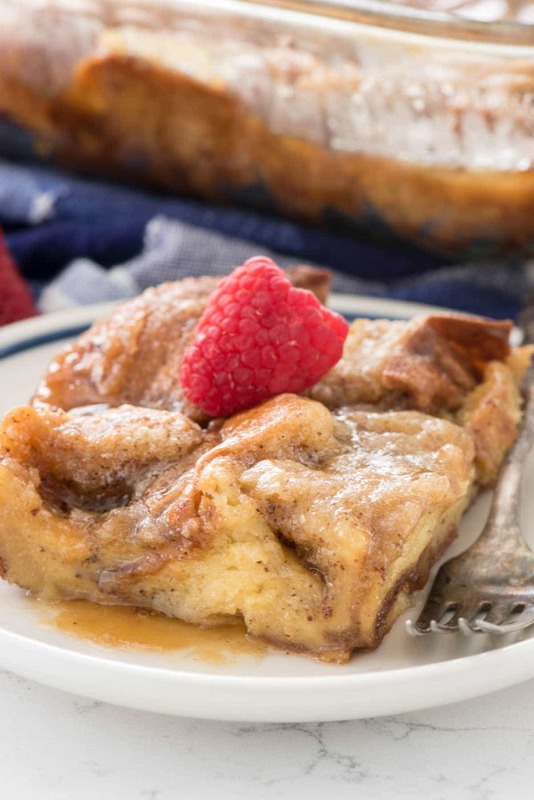 I always make monkey bread, so I want a baked eggs recipe that doesn’t have bread. So many egg casseroles have a biscuit or bread base but when you’re having sweet rolls with your meal you don’t need double the carbs. A friend of mine gave me this recipe years ago and I’ve been making it every year since. 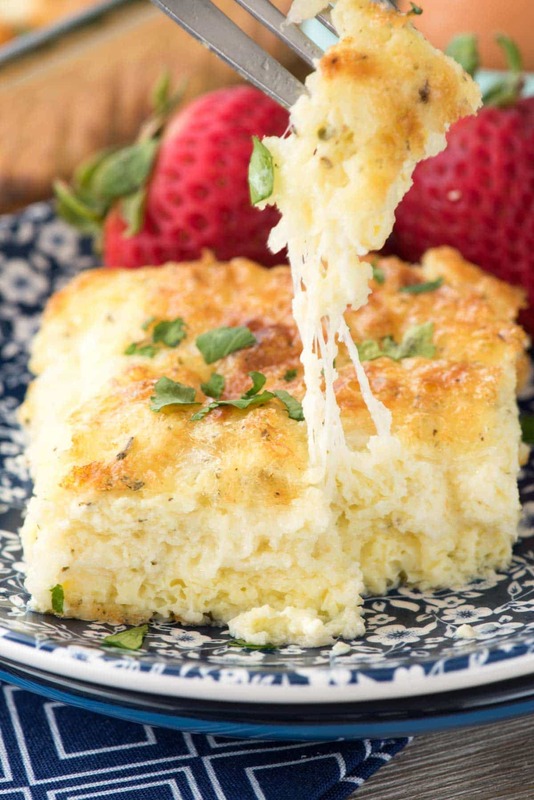 Cheesy egg casserole = eggs, Italian seasoning, and lots of cheese … that’s the trio of champions! This recipe is super easy, which is a requirement for any brunch menu of mine. I refuse to spend time on Christmas or Easter morning (or any random day, for that matter) cooking over the stove when I could be relaxing with my family drinking a mimosa. The eggs get their body and rise from a combination of flour and baking powder. Then you add double the cheese: cottage cheese and 2 full cups of your favorite cheese. I use mozzarella most often because I think it pairs well with the Italian seasoning. Now, if you’re freaked out about cottage cheese, don’t be. I know it freaks me out and I would never just eat it plain, but baked into recipes, it adds body and flavor and some cheesy goodness. Jordan ate two servings for snack that day, and I froze the rest, which she’s eating for breakfast and dinners. This brunch recipe is also super versatile because you can make the flavor profile your own. You’re not limited to Italian seasoning and mozzarella cheese. I’ve also made it with green chilis and Monterey jack cheese, as well as cheddar cheese with salsa or Italian seasoning. The sky is the limit! I’ve seen Mediterranean flavors used, like in this spinach artichoke egg casserole. For the meat lovers out there, there’s sausage, cheese and potato egg casserole or broccoli, ham and mozzarella baked with eggs. In fact, I’m going to make it a point to make some new flavors for you, because I know you’ll need each and every one. 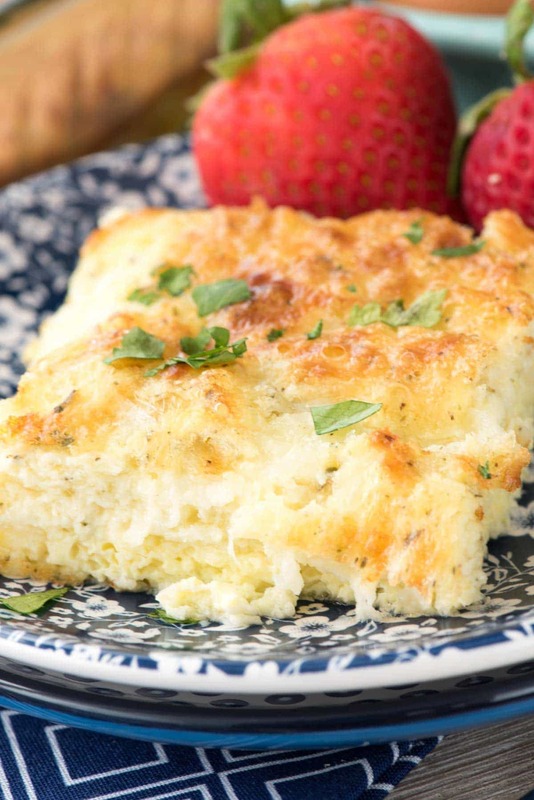 Pin this cheesy egg casserole recipe to save for Easter, for Christmas…and any day you want to make cheesy brunch eggs! Use any cheese you want! Make this into a sausage egg casserole or green chile egg casserole for new flavors. 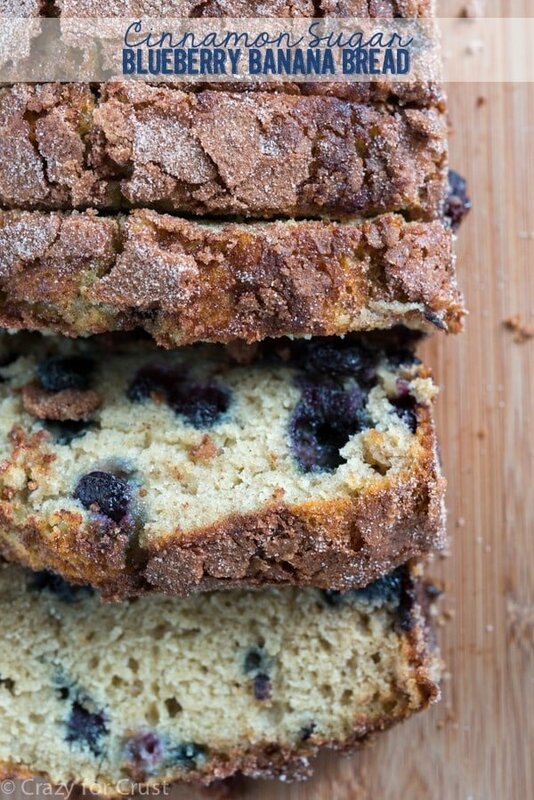 Slice it and freeze it for quick morning breakfasts! I’ve even made this recipe into hash brown egg casserole!! Buttery Cheesy Egg Casserole - this recipe is the perfect baked egg recipe for brunch! It's full of cheese and spices and everyone loves it. Stir together butter, cottage cheese, mozzarella cheese, flour, baking powder, Italian seasoning, and salt. Whisk in eggs and whisk until combined (mixture will be lumpy). If I wanted to do green chiles and Monterey Jack, how much would I use? Would I still use 1 stick of butter? I’ve already made it with mozzarella and Italian seasoning. So yummy! This is an easy but delicious dish! My whole family digs in every time! I made this last year for Christmas breakfast and it was a HUGE HIT! This will be our new tradition evey year! I’m back to grab the ingredients so I can pick it up next week!! 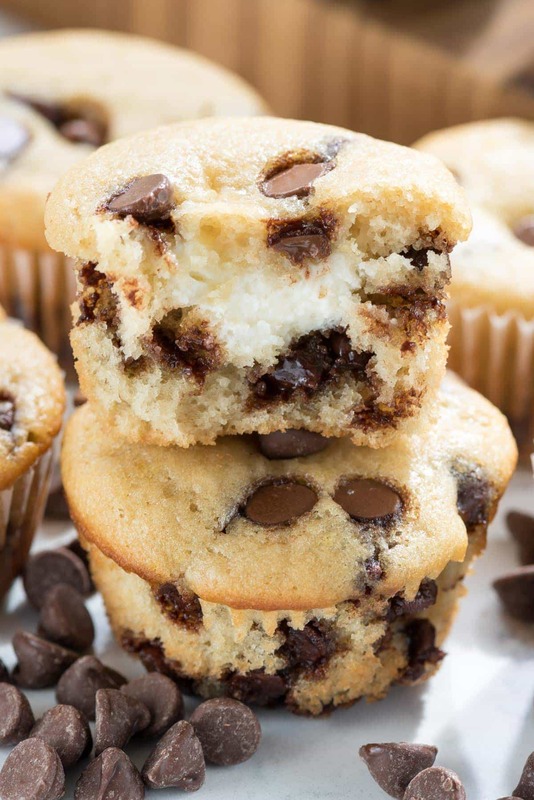 Question: if I make this and make a receipe and a half and cook it in an 11×14 Pyrex, do you know how long I should bake it for? Made this for a staff meeting breakfast – everyone loved it! added veggies for one, turkey sausage, and another with Canadian bacon. Is it really salty? Cottage Cheese has A LOT of sodium. Thank you! Amazing…even reheated! The entire family loved it and insisted on having the recipe!